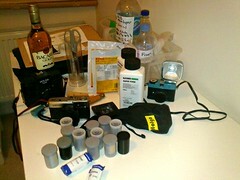 I can’t decide which films to take? Or ties? Probably a couple of knitted numbers, along with a narrow grey one for versatility. I think I’ll leave the pale sand crocheted one at home — it has attracted a fair amount comment, not all good. Is the inro about to make a comeback? In short, no. Perhaps if people were more familiar with this 16th century Japanese version of the wallet we may be more optimistic about its resurgence. 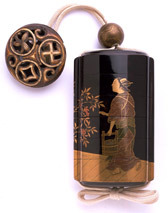 But wouldn’t it be nice to see people wearing these handsome lacquer boxes around their necks or, in the traditional fashion, around their waists. Where to get an inro for your summer wardrobe? Well the best place to start looking is with a collector or at a museum. Posted in Fashion | Comments Off on Is the inro about to make a comeback?